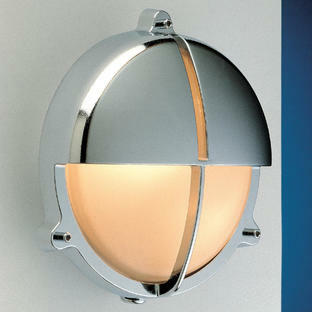 Contemporary oval polished bulkhead lights. 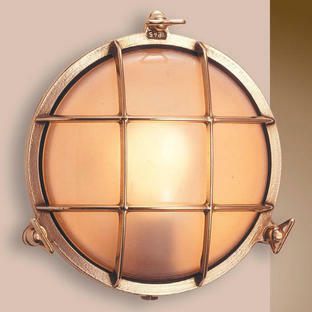 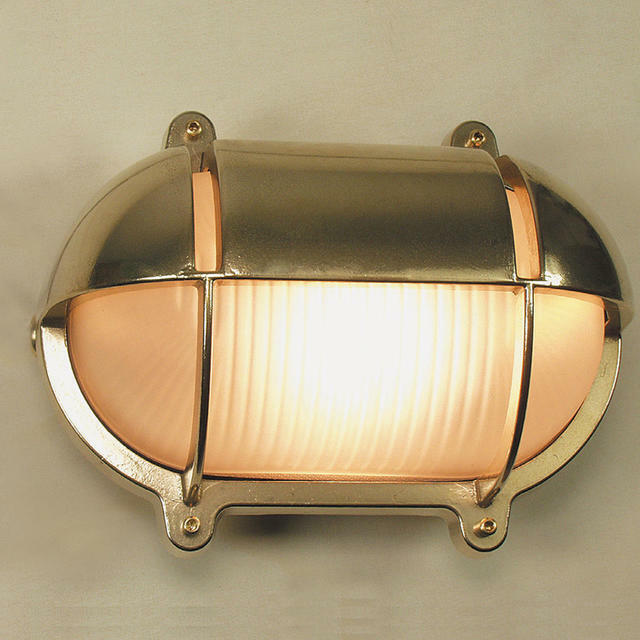 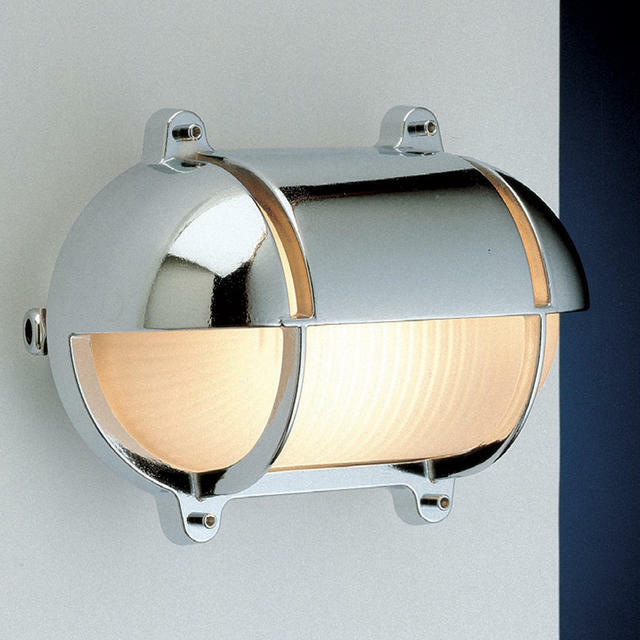 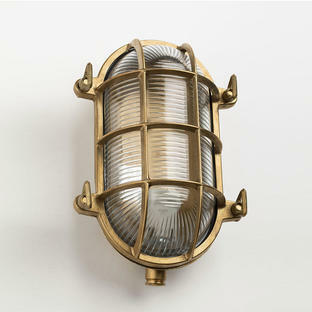 Outdoor wall lights influenced by the classic nautical brass bulkhead, but with more of a contemporary style. The lights are made from solid brass and can be used as either a wall or ceiling light. The lights are available with either a polished brass or chromed brass finish.